The Beautifully Bright Centerpiece draws in the attention of the room while perfectly accenting the holiday festivities. 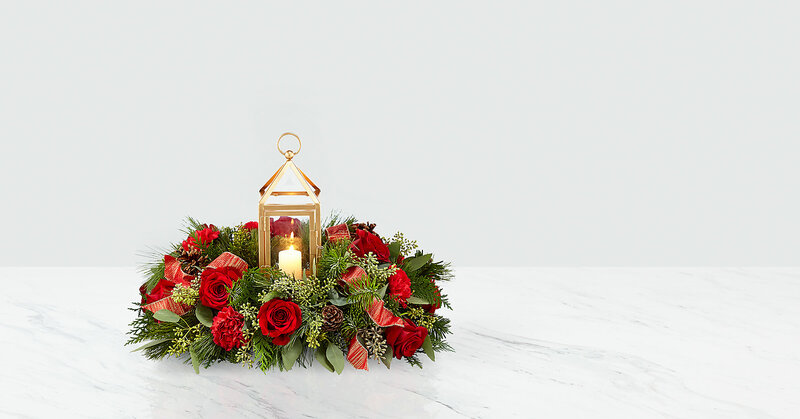 An array of red roses, red carnations, seeded eucalyptus and Christmas greens make up a truly wonderful arrangement. 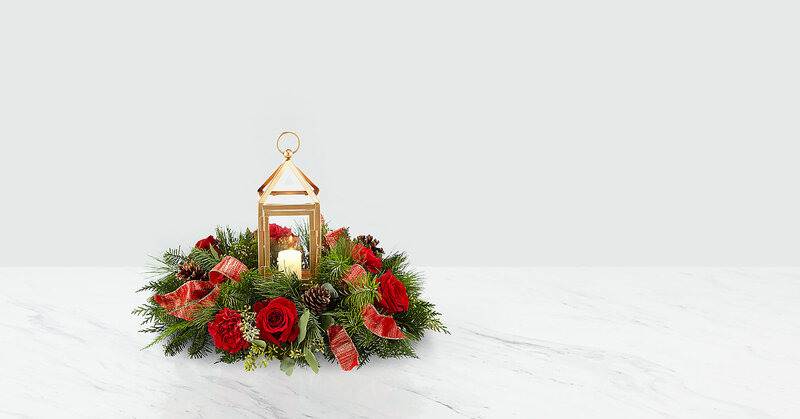 Whether it's a gift for you or someone else, this piece clearly belongs in the center of the room. A candle shines within the glass insert surrounded by a matte gold metal lantern. 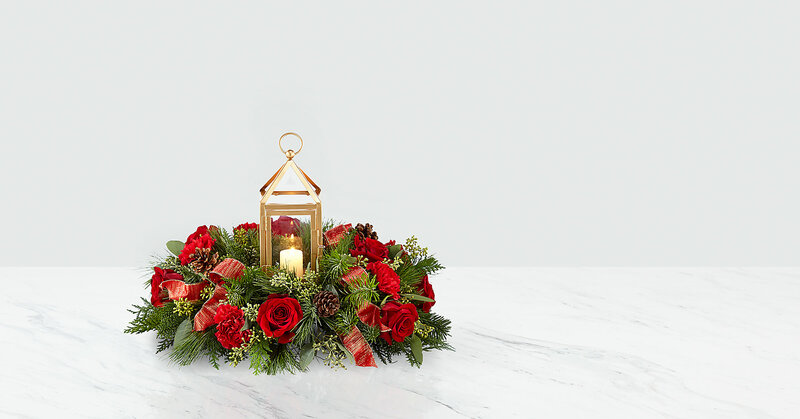 GOOD centerpiece is approx. 7"H x 18"W. BETTER centerpiece is approx. 7"H x 19"W. BEST centerpiece is approx. 7"H x 20"W. EXQUISITE centerpiece is approx. 7"H x 21"W. Your purchase includes a complimentary personalized gift message.